Footsteps in the Snow | What’s Your Favorite True Crime Book? What’s your favorite true crime book? Most people would probably name Truman Capote’s In Cold Blood. It’s a truly great book. I’d like to think that Footsteps in the Snow, which is my first foray in the true crime genre after having written two histories and a novel, will also be read decades from now. But In Cold Blood isn’t my favorite true crime book. Does anyone remember the works of the late, great writer Thomas Thompson? 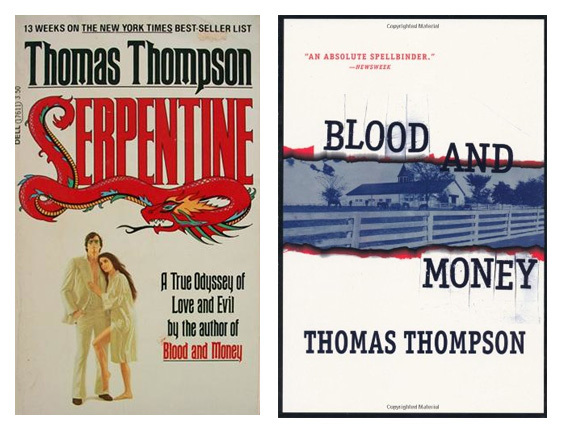 Thompson made his bones as a writer for Life Magazine and he wrote two true crime books that are now forgotten classics: Serpentine and Blood and Money. Both books were big successes when they were published in the 1970s. For my money, Thompson is tops. What do you think? What are your favorite true crime books?